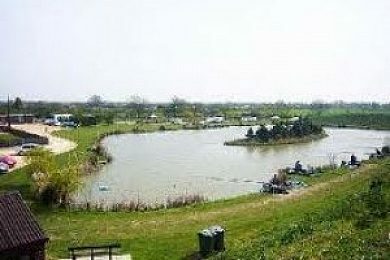 Pine Lake Fisheries is a coarse fishing venue located in Thorne near Doncaster, South Yorkshire. The venue has been established since 2006, since then has been regarded as one of the most even match venues in the area. It's not because of the shape of the waters or even the depths, its the breed of fish which has been stocked. Ide are a very strong and powerful fish for their size, its possible to catch great weights in short periods. In 2011 the match record stands at 166lbs, not bad for 1lb fish on average. Pine Lake Fisheries 10 out of 10 based on 1 ratings. 1 user reviews. Fantastic venue.our club uses it for two matches a year and me and a couple of freinds pleasure fish it at least once a month all year round and it never lets us down.The new owner pete is very helpfull and will give you all the info on tactics..if your into silver fishing with the odd big carp thrown in then try this venue it fishes well all year round.